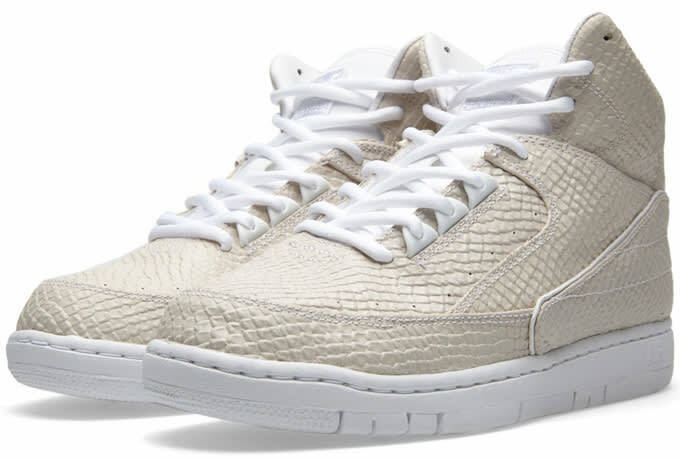 Kicks of the Day: Nike Air Python "White"
The Nike Air Python is back with a brand new colorway that looks extra dope. 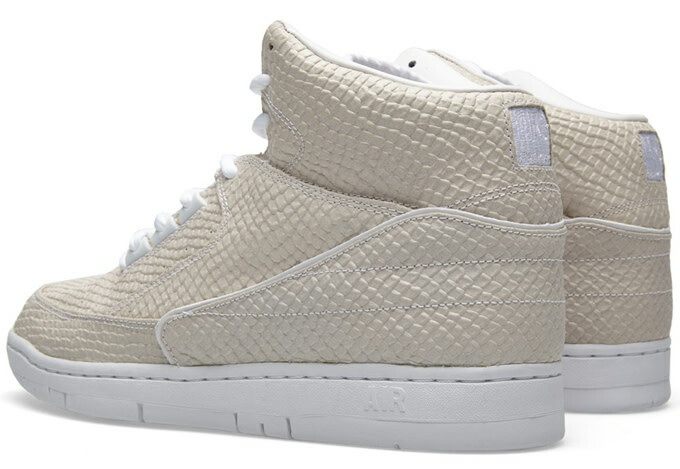 The scaly sneakers are outfitted in a coke white color scheme that&apos;s set off by luxe snakeskin embossed detailing. 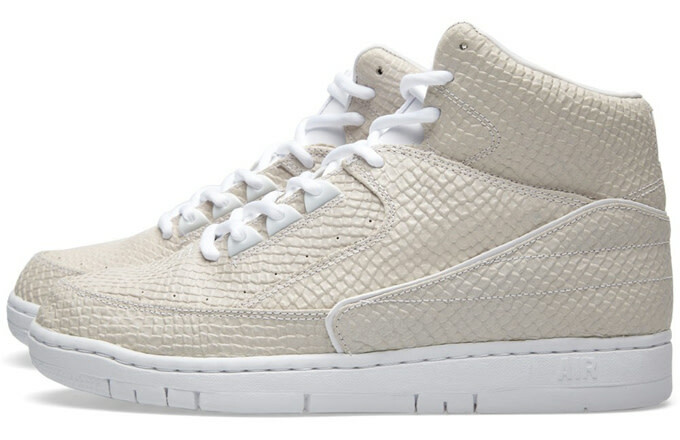 The textured upper is decked out in an off-white blend with a smooth white working its way on the tongue, interior, and trim. The mashup model, which is a combination of the Air Force II and Air Jordan II, is finished off with 3M detailing, taking a cue from some of its predecessors, including the black Dover Street Market version. This colorway releases in the U.S. on NikeLab later today, but you can already pick up a pair through the UK&apos;s End Clothing for $195.